Weaving together a multimodality approach that blends Therapeutic Bodywork, Polarity Therapy, Thai Yoga Bodywork, Shamanic Bodywork, Reiki, Breathwork, Applied Kinesiology and Guided Imagery into a unique and authentic healing experience, Carrie creates safe and sacred space for you to unfold and come into a greater awareness of Self. Carrie creates a draws from a breadth and depth of knowledge. 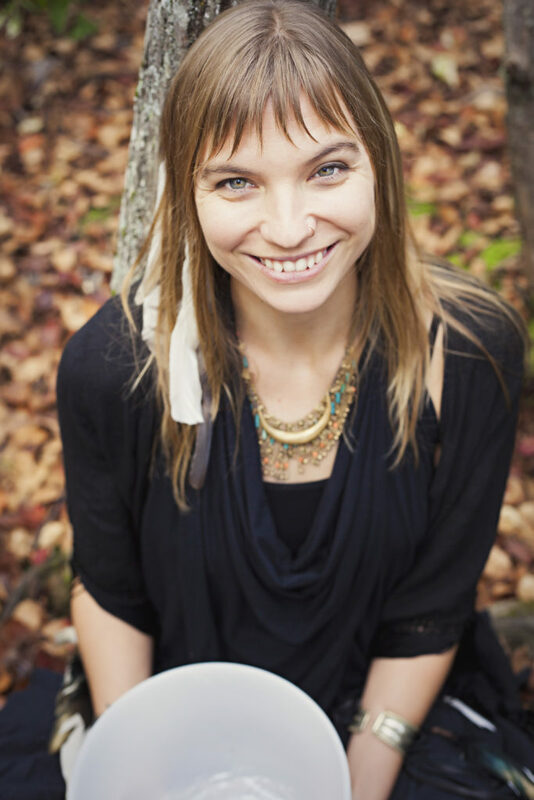 Carrie works with the physical body as well as the energetic bodies, her Energy Work Practice utilizes, Polarity Therapy, Craniosacral, and Reiki as ways to access the more subtle layers. Carrie is also an Advanced practitioner of Thai Bodywork from the International Training Massage School in Chiang Mai, Thailand, however, she only practices Table Thai at this time. She is also a Certified Shamanic Breathwork Facilitator and Ordained Shamanic Minister through Venus Rising Institute. Carrie loves assisting people in a variety of ways. She recognizes that in order to clean, clear, and current with our bodies, we need to also need to address what’s in our physical space at home. Yes, Carrie would love to help you organize your home space, clear out closets, and help you let go of unneeded things that are clogging up your space and your life! Carrie has also studied many forms of dance including West African, Jazz, Modern, and Improvisation and is dedicated to the practice of Yoga. Carrie has been a practicing energy centered bodywork therapist since 2005 after graduating from Irene’s Myomassalogy Institute, in Southfield, MI and receiving my National Certification in Therapeutic Massage. She birthed Bodhi of Life Energy-centered Bodywork, in Ann Arbor, MI in 2008. Her practice was voted in the top three of the “Best Place to Receive a Therapeutic Massage” in the Best of Ann Arbor in 2011. Carrie is certified to practice massage by the North Carolina Board of Massage and Bodywork Therapy (#12995). “I have had the honor to work with amazing teachers in my life starting with Irene Gauthier, Linda Star Wolf, Bruce Burger, Sue Burton Hidalgo, Margaret Silcock, Randy Fillion, Chongkol (John) Setthakorn, Boonsri (Sri) Marut, Lorrie Keller, and all the wonderful yoga and dance instructors that have influenced and inspired me over the years. Integrative Bodywork, Thai Bodywork, Polarity Therapy, Shamanic Bodywork, and Shamanic Breathwork. Schedule a session with Carrie.